No, this was not Jan. 21, 1985. 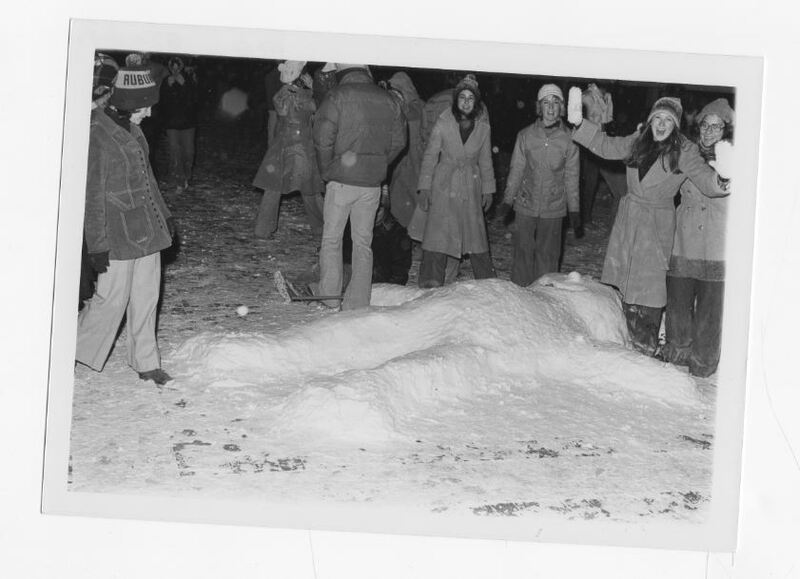 This was a not-as-cold day in Auburn in the mid-1970. But everyone will tell you you need a graphic these days. Compared to January 21, 1985, it’s warm today in Auburn. Every January, when the weather usually gets much colder, I am reminded of a very cold day during my freshmen year at Auburn. It’s funny how time sometimes makes us question our recollection of past events as the years roll along. For most of my adult life, I have told others about one of the coldest days I ever experienced. I always knew it was 1985 because I encountered a friend of mine on the concourse during the only year he attended Auburn. Over the years I would tell people it seemed my friend and I were the only two people brave enough, or dumb enough, to attend class that day due to the extreme cold temperatures. I would then mention that the low that day was minus six degrees. That portion of the story was almost always met with a comment or look of disbelief, even by those who attended Auburn during that particular year. It happened enough that it made me start questioning myself. Was it really that cold? Have I been exaggerating? Was I remembering the wind chill instead of the temperature? Last year I finally decided to do some research on the Internet. I was excited to find out that not only was it very cold on January 21, 1985, but it was also the coldest day ever recorded in Auburn. In fact, I had being cheating myself out of an even better “war story” over the years because the recorded temperature was actually minus seven degrees that day! I can’t tell you what the wind chill was, but I can tell you it was a chilling walk from Haley Center to my apartment west of campus, especially by way of the old drill field! Robert Michael Jones, AU ’89. It wasn’t just cold in Auburn. The entire eastern half of the country was numbed by a front so cold it has it’s own Wikipedia entry. It set record lows in several cities–it got down to -24 on Tennessee’s campus–and caused at least 126 deaths, one of them close to home.